I recently read—and enjoyed—the novel, The Storied Life of A.J. 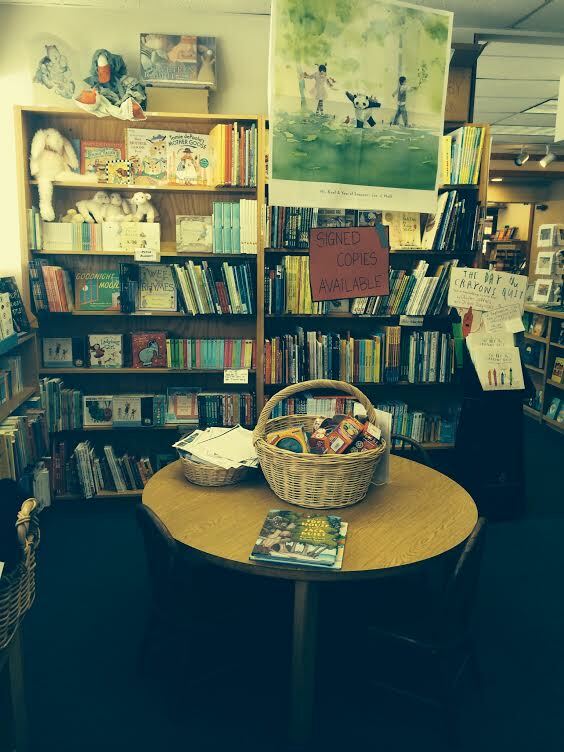 Fikry by Gabrielle Zevin, a sweet homage to independent bookstores. Given my long-standing love of bookstores (and libraries), it’s not surprising this story resonated with me. I still have fond memories of the book sellers of my youth: the erudite sales staff at Kroch’s and Brentano’s, the mystique of the 3rd floor book department in the iconic Marshall Field’s, and the laid-back vibe of Barbara’s Bookstore. I can’t deny that Amazon is quick, convenient and (usually) less expensive, or that I’ve made purchases from them—hey, I also sell my book on Amazon—but I do care about supporting independent bookstores and so should anyone who doesn’t want to see them disappear. Spending time—a little or a lot—in a bookstore is a different experience than purchasing a book online… and one that I value. The other day I popped into The Book Stall, not looking for any specific book (except in the general sense that I am always looking for the next good read), and left with Even the Terrible Things Seem Beautiful to Me Now, Mary Schmich’s collection of her columns. Although she’s one of my favorite journalists, I didn’t realize that she had released a book until I saw it artfully displayed. Author John Green (Fault in our Stars), when interviewed on My Chicago, spoke about bookstores (and The Book Cellar, in particular), the chance to browse and the process of discovery they allow. He went on to talk about the wonderful recommendations that well-read book sellers can provide—how they can think in a way that an algorithm never can. In that vein, I’d like to mention a few of the personal, full-service bookstores we have in the Chicagoland area. Apologies to those book lovers who live elsewhere, but at least, you’ll know where to hang out on your next visit to Chicago. Each of these brick and mortar establishments has a unique character, but they do have a lot in common. They have strong links to the community they serve, they partner with local organizations, they sponsor book and author events, and they donate books to local charities. As a nod to the times, some have added e-books that you can purchase through their stores. Check out their respective websites to find out about upcoming events, discount clubs and get lots more information. And of course, visit them—alone, or even better, with a child in tow. 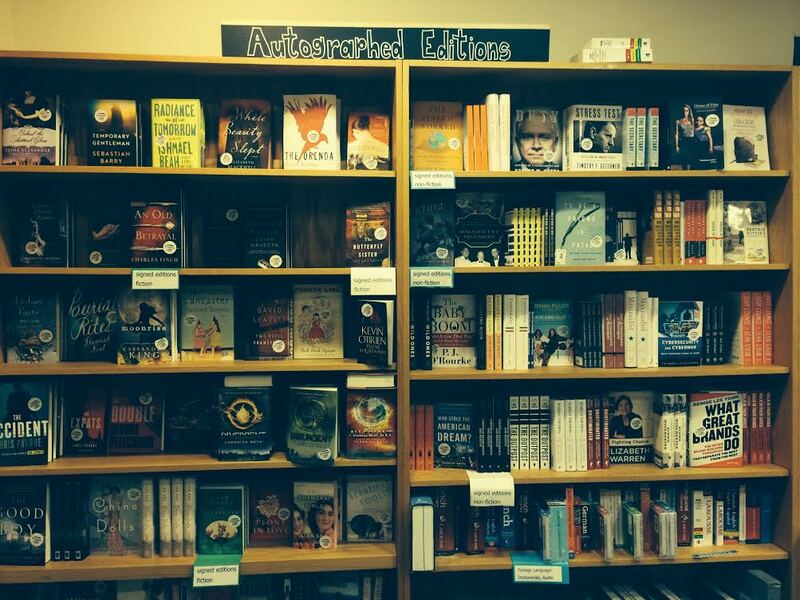 The Book Stall in Winnetka, named Publishers Weekly Bookstore of the Year in 2012, is definitely my go-to bookstore. The recently-retired Roberta Rubin was at its helm for over 30 years and has passed the torch to new owner, Stephanie Hochschild, who is maintaining the same level of excellence. It seems as if almost every author has visited this bookstore—my son and I met J.K. Rowling and had our copy of Harry Potter signed here several years ago. Their extensive schedule of book and author events range from small gatherings at the store to enormous ones at various venues. Their newsletter is a must-read. Books on Vernon in Glencoe is a small neighborhood bookstore. At the front, you will be welcomed by a friendly book seller and home-made cookies, in the middle, you’ll peruse a good selection of books and in the back, you might be surprised to find an intimate performance space, as they are affiliated with Writers Theater. Whatever books they don’t have on hand can be ordered. Lake Forest Book Store on Market Square in Lake Forest has a knowledgeable, service-oriented staff, a great selection of books and interesting events. They will arrange evening book reviews for your book club. In the summer, some events are held in the adjacent courtyard. This month, they are participating in the fun Where’s Waldo? hunt to support local businesses. 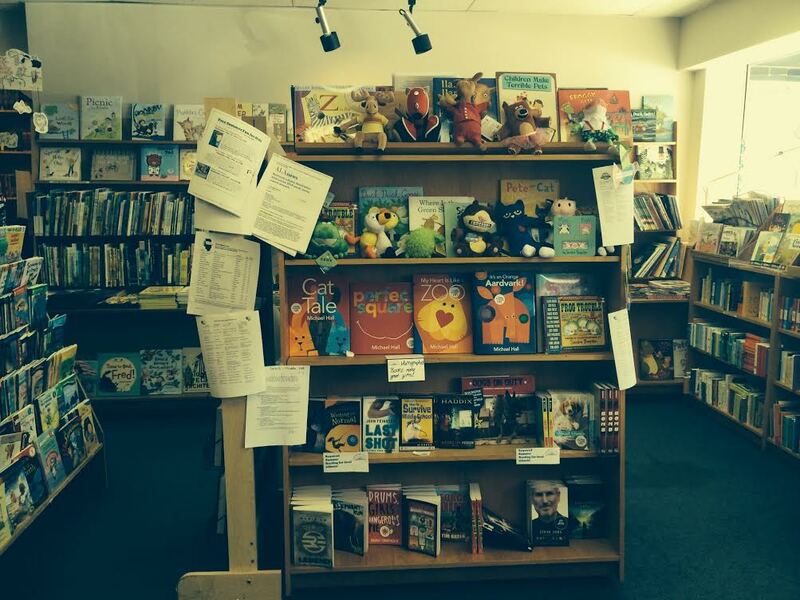 The Book Bin in Northbrook sponsors the Giving Tree project, which provides books for inner city children. There’s an active book discussion group and they hold an annual Book Club Idea Night, although friendly staffers are happy to offer suggestions any time. They might be the only bookstore who still has a rental library, where you can borrow a book for a nominal charge. 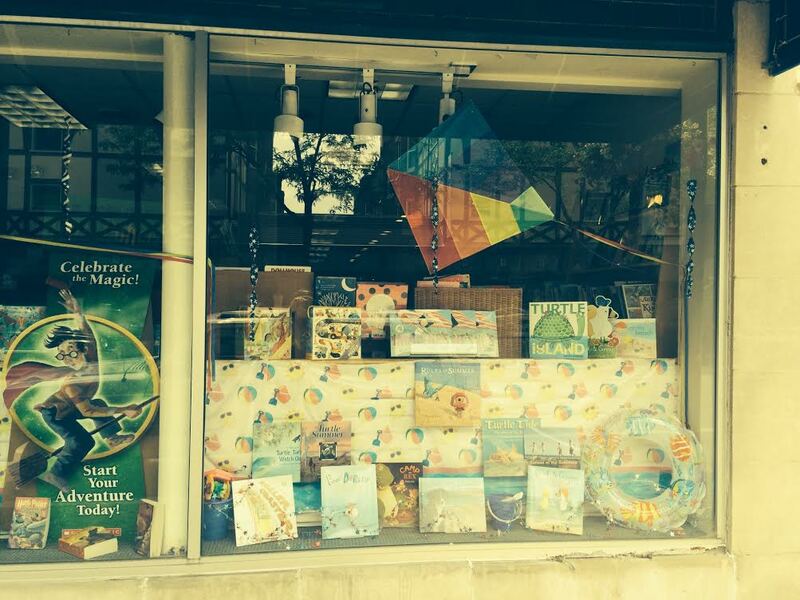 Bookends & Beginnings opened its doors in Evanston in mid-June in an encouraging show of faith. You’ll find books, gifts and local color within. Nina Barrett, author and radio personality and Jeffrey Barrett, writer, editor and research librarian, are longtime Evanston residents and the owners of this engaging bookstore. They also offer used and remaindered books, as well as signed first editions. Anderson’s Bookshop in Naperville (and another location in Downers Grove) has deep roots in the community and is a family-run business with members of the 6th generation currently working in the store. Also a former PW Bookstore of the Year, Anderson’s is home to quite a few book clubs catering to various tastes and needs: Mother-Daughter Book Club aimed at daughters 13-16, Not for Kids Only for adults who enjoy juvenile fiction, LitWits for those who wish to read books by and about women, among others. Anderson’s features an impressive calendar of book and author events. Look for a wide selection of humorous literary-themed t-shirts. Co-owner Becky Anderson Wilkins was a recent guest on Windy City Live. The Book Cellar is located in the heart of the delightful Lincoln Square, one of my favorite Chicago neighborhoods. John Green, who lived in Chicago for six years, has called the Book Cellar the first great bookstore love of my life and returns often to sign his books. The Chicago Reader has also dubbed the Book Cellar Best Bookstore of 2014. They host a roster of diverse book clubs, such as a YA (young adult) group for adults, a Classics group and a Sierra Club group. If you work up an appetite debating the relative merits of your selection or just browsing, you’ll find an appealing selection of sandwiches, salads, pastries and even wine or beer at their in-store cafe. Women & Children First is a unique bookstore in the Andersonville area of Chicago. Each staffer is a reader, a feminist and a bookseller. They pride themselves on stocking more than 30,000 books by and about women, children’s books for all ages, and the best of lesbian and gay fiction and non-fiction. Several ongoing discussion groups meet at the store. 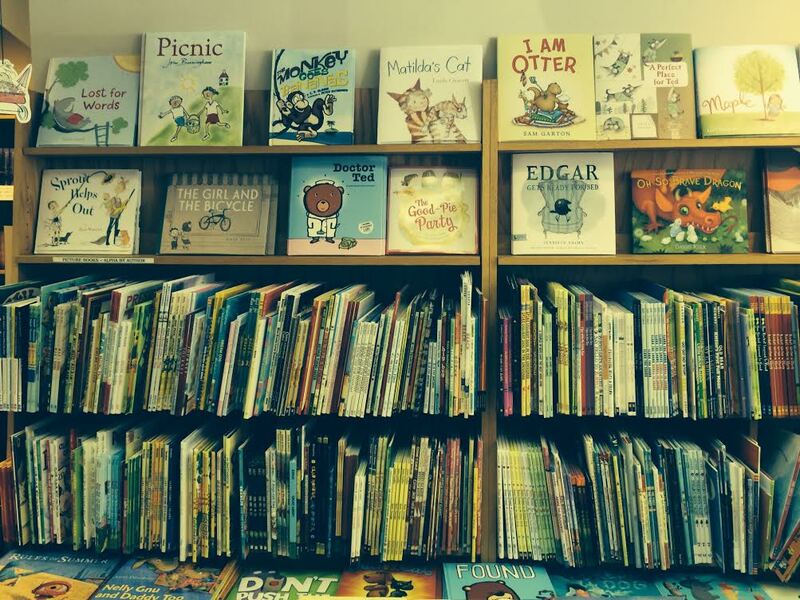 Storytime is conducted every Wednesday morning by co-owner Linda Bubon. She promises singing, dancing, and silliness for all in attendance! Children’s birthday parties can also be arranged. They have established the Women’s Voices Fund, which raises money to sustain and develop programming with a focus on women’s lives. I remember waiting in line here years ago to hear Gloria Steinem. Note: Nine Chicago independent bookstores (including The Book Cellar and Women & Children First) have teamed up for the first Chicago Independent Bookstore Day on Saturday, July 12. Refreshments, free books and special deals will be available. They sound like wonderful places to get lost in!